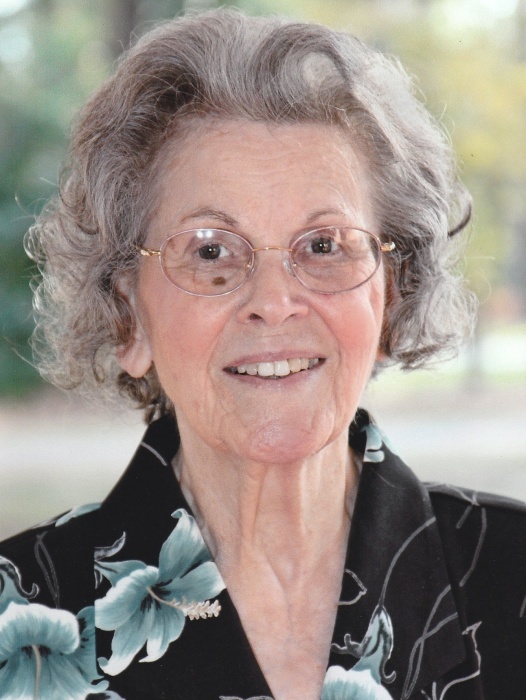 Myrtle Perry Aycock, age 96, of Baxley, died Monday, March 25, 2019 at Tennille Retirement Home in Tennille, Georgia. Mrs. Aycock was born September 26, 1922 in Crisp County to the late William Jackson Perry and the late Susie Widdon Perry. She was a member of the Baxley Church of God & was a member of the Bridge Clubs. Mrs. Aycock was a wonderful and devoted wife, mother, grandmother, and great grandmother. In addition to her parents, Mrs. Aycock was preceded in death by her husband, George B. Aycock, and her siblings, E.J. Perry, Edward Loma Perry, James Perry, Leatha Perry Tomberlin & Edna Perry Tomberlin. Survivors include her sons & daughters in law, George Eugene & Lee Smith Aycock of Sandersville & Carl Jackson & Susan Horen Aycock of Brookhaven, MS. Grandchildren, Tara Aycock Newton of Suwanee, Jason Christian Aycock of Augusta, Carl Atticus Aycock of Dublin, Courtney Aycock Grill of Birmingham, AL, Benjamin Taylor Aycock of Charlotte, NC, Anne Claire Aycock of Birmingham, AL & seven great-grandchildren also survive. Funeral Services will be held Thursday, March 28, 2019 at 11:00 a.m. at the Chapel of Swain Funeral Home with Rev. Robbie Tomberlin & Rev. Pete Aycock officiating. Interment will follow in the Holland Cemetery. Active Pallbearers will be Jason C. Aycock, Carl A. Aycock, Keith Dyal, B. Taylor Aycock, James Robert Tomberlin & Brian Newton. Visitation will be from 9:00 a.m. until funeral hour at the funeral home.